A great architectural challenge will confront the French in the upcoming months. Fortunately the French are architecturally inventive and will most likely arrive at a creative solution. The options are: (1) reconstruct the cathedral like the Germans reconstructed Dresden. This feels not only wrong but wildly financially unfeasible. (2) Build a small simulacrum in the ruins of the present cathedral–which will have to be reinforced to stay standing. (3) Build a modern cathedral which incorporates the remains of Notre Dame in the manner of the Pompidou Museum. When you’re a joyless commie, all spaces must be turned into moral and aesthetic vacuums for your authoritarian notions of “progress.” Perhaps Bruce Charlton is right that Notre Dame shouldn’t be rebuilt, because we are not worthy of it. What are the chances that some modernist cancer will not be grafted onto it by our betters? L.A.’s city council recently voted to replace the lackluster L.A. County Museum of Art buildings designed by William Pereira with something much worse. 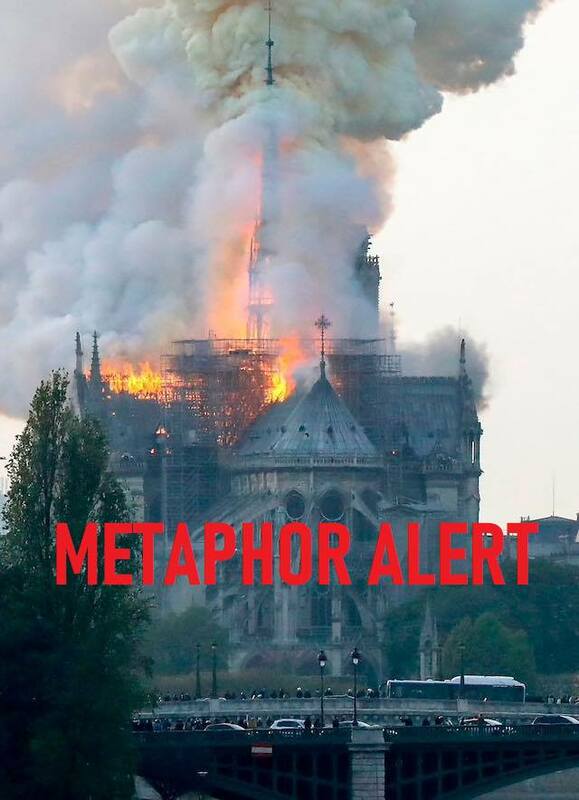 This entry was posted in Architecture, Politics and Economics and tagged modernism, Notre Dame, Paul Schrader, postmodernism, progressives. Bookmark the permalink. I believe the cathedral should be demolished for spewing so much co2 and other pollutants into the atmosphere. And France should be fined for violating the Paris Accords. bluecat, snark aside, there is a case to be made for replacing the flammable logs which were, in fact, inflamed with less-flammable fake logs made of some polymer or other. I’d rank that case as an excellent case.